JCo Cleaning - Serving the Greater Cincinnati, Northern Kentucky, South East Indiana area for more than 20 years. Whether you need help weekly, monthly, or just a one time Custom Clean. J Co Cleaning will provide professional cleaning solutions just for you! Contact us today! 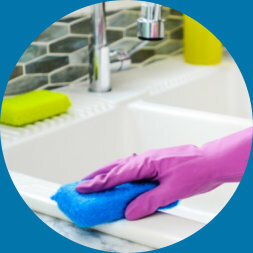 Microfiber dusters, rags, and mops Our Microfiber dusters, rags, and mops enable J Co’s clean team to safely and effectively remove 99% of all bacteria from your home or office. Microfiber is safe on any surface, and in the hands of J Co’s clean team, acts as a powerful magnet attracting dust, dirt, grease, and oil. J Co’s professional equipment J Co’s professional equipment will capture dust and remove debris that often gets left behind. Our professional staff and equipment enable us to safely remove dust and pollen that trigger allergies, improving your air quality! businesses in the Tri State area. provide a Custom Clean plan.